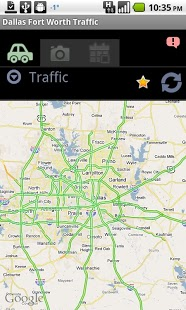 Traffic and cameras in Dallas / Fort Worth Texas metro areas. 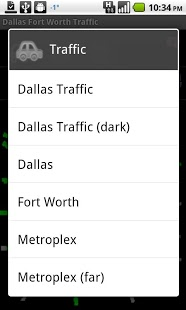 Pulls live data and displays color-coded problem areas. Red is bad, green is good, yellow not so nice. Cameras and weather radio! Police Scanner! Fast and sleek. Check it on the way out the door! 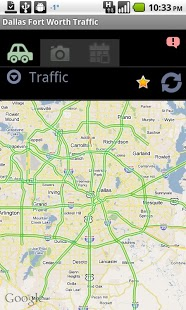 Now with interactive maps and favorites.